Bridget Liszewski, Kat Jetson, and Valerie Anne take a break from smashing the patriarchy to chat about feminist-y things they love. Join the Feminist Thrilljoys as we talk about a tear-jerker of a movie, a marvelous comedy series, and a feel-good musical that'll make you cry. Get enamel pins and pre-order our 1 year anniversary gold foil shirts at our Store Envy Shop. Other merchandise available at our Feminist Thrilljoys TeePublic store. We now have Merch! 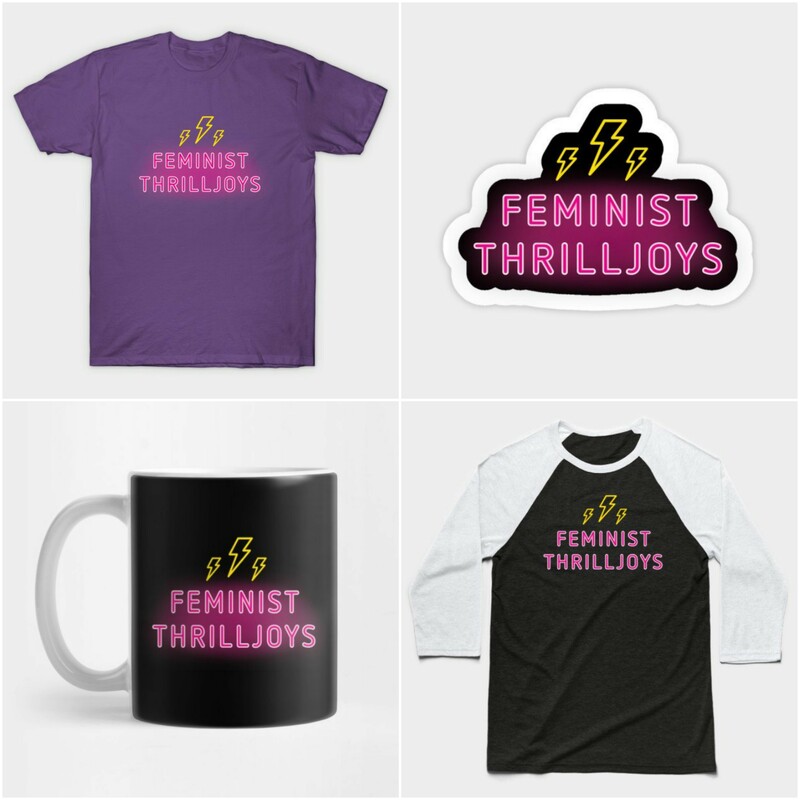 Get your very own Feminist Thrilljoys' gear from our TeePublic store! Feminist Thrilljoys is a podcast where three women take a break from smashing the patriarchy to chat about the feminist-y things they love.